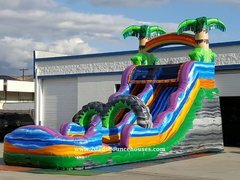 If it's the best inflatable slide rentals in Phoenix you're looking for, you've come to the right spot. 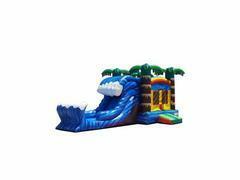 These dry slides are every bit as exciting as our inflatable water slide rentals. They stand tall and get noticed quickly, making a great choice as your centerpiece attraction. 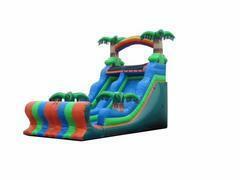 One or our newest additions is our 21' Tropical Storm. 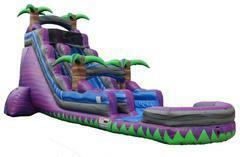 Some of our other most popular slides include our 24' Screaming Purple Crush and the 21' Riddler's Wave. 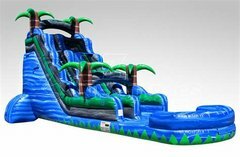 All of this climbing and sliding is sure to work up an appetite with your guests. 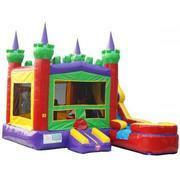 Did you know we offer great concession machine rentals as well? 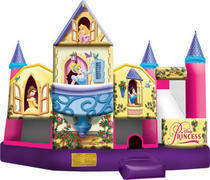 From popcorn machines, to cotton candy and even snow cones, 2 Dad's Bounce Houses has you covered. 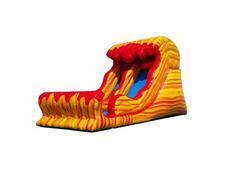 Another great addition to our inflatable slides are our inflatable obstacle courses.